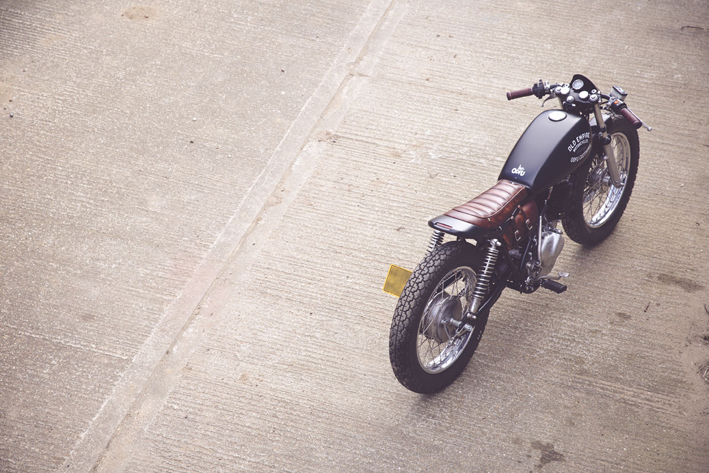 Billed as a bike that represents the best of both brands, these guys worked together to build this killer cohesive custom. 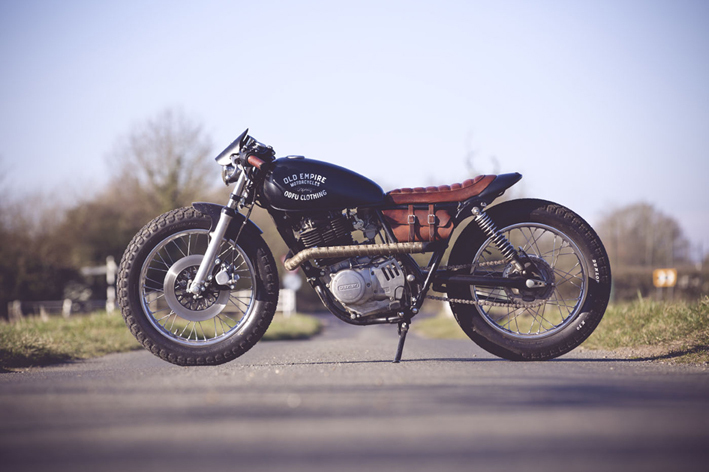 ODFU Clothing and Old Empire Motorcycles transformed a 1980 Suzuki GN400 into a well-balanced composition of functional art. 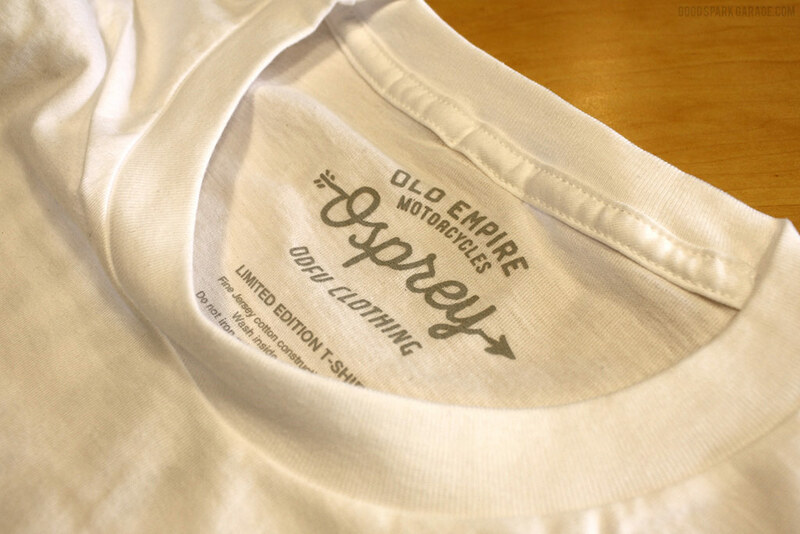 To accompany the launch of the Osprey, ODFU printed a limited run of branded tees. We’re fans of the soft cotton and exceptionally tight graphics. You’ll recognize and appreciate their quality as soon as you roll the ink and fabric between your thumb and forefinger. 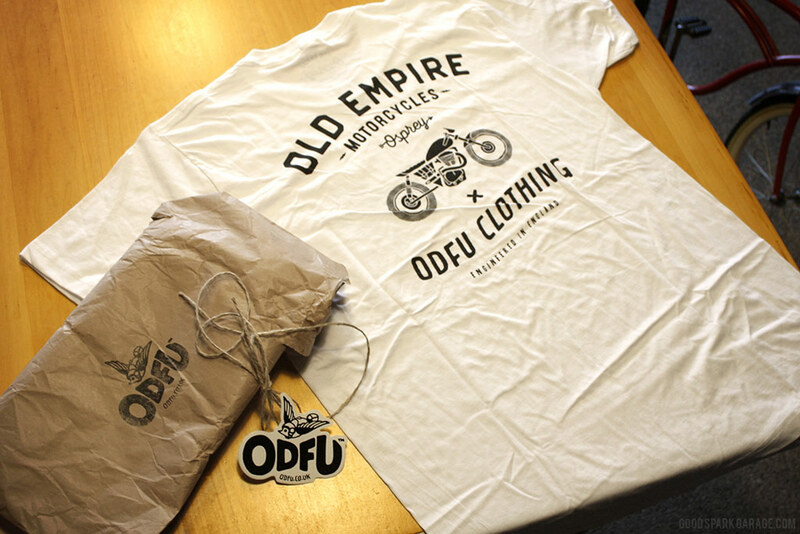 We got our hands on the white “ODFU x OEM Graphic” and the blue “ODFU x OEM Landscape” tees. On the back of the Graphic, you’ll see Kevin Wilson’s illustrative homage to the Osprey, sandwiched by vintage typography that’ll make even the most discerning hipsters take notice. The navy blue Landscape tee has a muted, less-contrasty print on the chest. Subtle, comfy coolness to wear with your favorite ol’ pair of jeans. 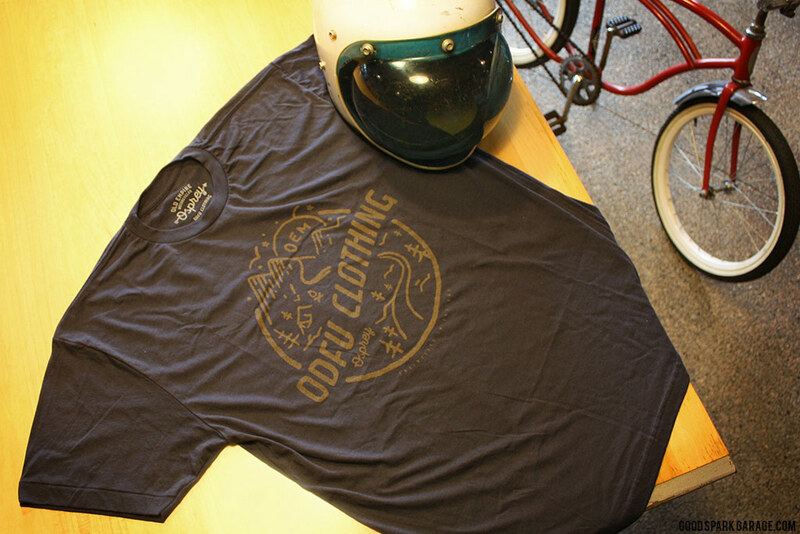 We’ve mentioned this in our other reviews of ODFU Clothing: If a standard size Large fits you comfortably, don’t get brave and try a medium. I wear a medium in basic beefy t-shirts, but find that a large ODFU shirt is best for me. Something we dig is that the neck size is dialed in just right, not a massive opening like cheaper shirts. 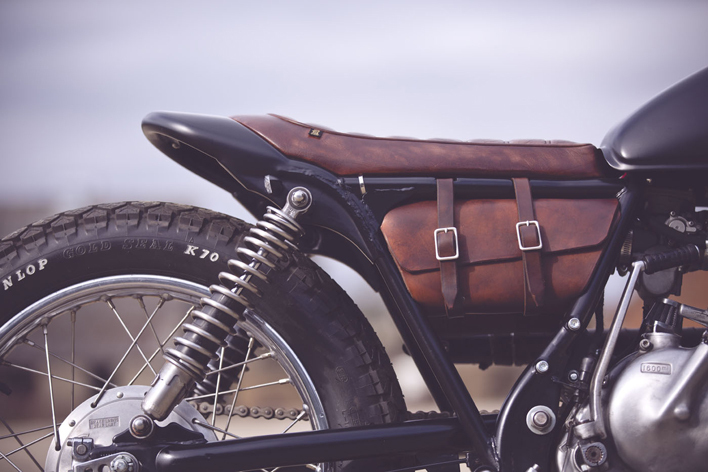 Lovin’ this leather: The tool roll, seat and grips add a dapper vibe to this playful little single. Over here in the States, we like to picture these two entities of craftsmen across the pond, pinching a cup of tea and politely sharing ideas of how to achieve classy simplicity. There’s something about the Osprey that seems like it was built with a respectful camaraderie, not a team of overly-egocentric personalities. Click here to read the whole story of the OEM/ODFU Osprey project. 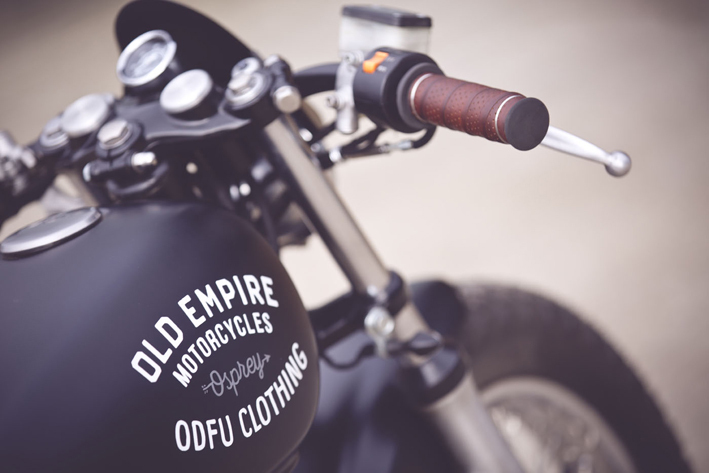 For more info on the shop it rolled out of, check out Old Empire Motorcycles. 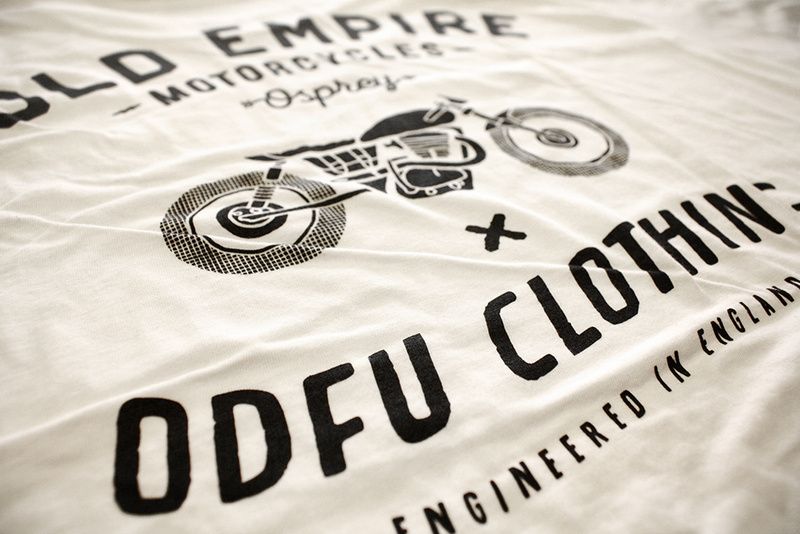 And, keep it tuned into ODFU Clothing to see what limited-edition goodness they’ll dream up next.